Slotastic Casino will light up your eyes as soon as you hit the site. The casino shows offers a colorful and fun filled face, but they are very serious about what and how they deliver. They are very well known for their responsive attitude towards their players. The management always do their utmost to not only solve problems, but to also make players feel comfortable. There are a number of people who do not hesitate to say that they have faith in this Casino. Slotastic have some excellent casino bonuses currently on offer. They do change their bonus structures from time to time so keep your eyes on there promo pages. Last but not least there is a cute little Panda waiting to cast a spell over the reels. Sit back and watch as the magic unveils. Get 10 free spins on sign up for Panda Magic. This is a one time redemption and the Bonus Code is “MAJICTASTIC”. Slotastic Casino has many different free offers! Slotastic is another casino that is powered by software from Real Time Gaming. Expectations are usually met and exceeded when playing RTG Games. The software provides the casino with some excellent graphics and animation and also some superb sound effects. The software is seamless allowing the casino offer excellent service and fast interaction. Slotastic, true to their name, offers more than 150 Slots. There is however no concern needed for those players wishing to play all other Casino games. Your favorite Table Games, Video Poker and Speciality games are on offer as well. Attached to some of these games are huge jackpots. Some of these jackpots are totally random. You need to be playing to win, not line up a winning combination! This year is of course the year of the Dog. True to form Realtime Gaming honoured this and have done extensive promotions and created games around this tradition. Many more plus multi hand variations of these games! 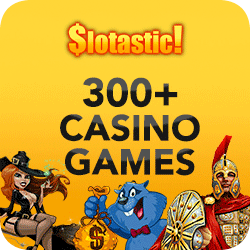 Slotastic Casino mobile site provides in excess of 50 games on Mobile. This count will grow as they are continually adding new games to their portfolio. Android users can now experience even more fun on-the-go with the Slotastic Android App. This is available on the Casino Website . For Tablets and Smartphones there is no download required. The advanced in-browser mobile casino requires no app installation at all! You can play without using up storage on your device. Simply access the website on your chosen device and you will be up and running in no time. 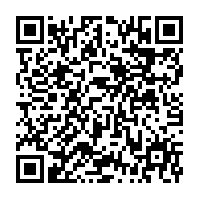 Try scanning our QR Code below. Be transported to the world of Slotastic!